Welcome to the March edition of the Simply Living Blog Carnival – Clearing the Clutter cohosted by Mandy at Living Peacefully with Children, Laura at Authentic Parenting, Jennifer at True Confessions of a Real Mommy, and Joella at Fine and Fair. This month our participants wrote about de-cluttering and cleaning up. Please check out the links to their thoughts at the end of this post. Across industrialized countries, parents lament about their children’s toys. 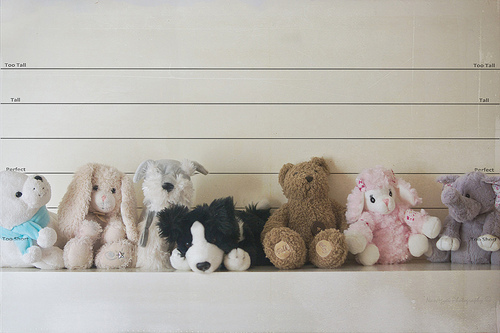 Stuffed animals seem to breed overnight, invading every inch of spare space in their homes. Piles of play food, puzzle pieces, and pretend dress-up clothes litter the floor, left by children rummaging through for some other item. It’s a complaint often heard in parenting circles: a complaint of privilege and one of our own making. For the most part, children aren’t purchasing all of these toys. It’s the adults in their lives buying all of this stuff in amounts too great for children to take care of or truly enjoy. This is a problem that is easy to take care of, though, and at Natural Parents Network, we have some easy tips to help curb some of that toy clutter. 1. Designate a space for toys. Any decluttering diva or organizational guru will tell you that if you want to keep things picked up in your home, everything needs to have its own designated space. If it doesn’t, it will never make it there. This includes toys. When that space is full, you have three options: Don’t bring in any more toys, get rid of some toys, or rotate toys (keeping in mind how much space you have to store toys not in current rotation). 2. Take into account the abilities of those picking up the toys. Expecting a small child to have a complicated routine to get the toys picked up will frustrate everyone involved. Make it simple. Baskets or clear plastic tubs make putting toys away a quick and painless job. If you like to keep toys organized by type, such as all of the blocks together, consider putting a label, picture or otherwise, on the bin. While dedicated play rooms or toy rooms may work for some families, many find the opposite to be true. Children like to be near us and will drag toys out in order to stay close. Toys are less likely to be put away if their dedicated space is across the house. Think about where your children play with various toys, and consider integrating their storage spaces near those locations. The toys will see more play and you will be tripping over them much less often. 4. Open-ended toys not only lead to more creative play, but their multifaceted uses mean less items taking up space in your house. Consider going with toys that can be used in many ways, such as playsilks, blocks, a simple doll, basic dress-up clothes, or LEGOs, for example. If you have more than one type of toy in the same category, say two or more different types of building toys, consider rotating them so that they aren’t out at the same time. When toys come out after being put away for a while, they garner new interest. Watch how your children play with items and take stock in what their current interests are. While some items, such as a favorite doll, may stay out all of the time, you may notice that when your children are in a playfood stage, they aren’t playing with dollhouse items. In that case, there is no reason to have both items out. Keep the toys that aren’t being played with packed up to rotate later. 6. Involve your children in the process. We periodically rotate toys. I have my children bring all of the toys that have migrated about to one location. We then go through them, and my children decide whether items will stay out or be packed away or if we should get rid of them. 7. Some of the best toys aren’t toys. Cardboard boxes have a rich life at our house, being used in various ways, and when they are beat up from extensive play, they find their way to the recycling bin. Sticks are well sought after here, and the extensive stick collection, which stays in the backyard, is testament to that. Art supplies, in high demand for creative endeavors, are a great consumable gift from relatives. The bottom line is that what children really want is us. Spend time with your children. Enjoy them. The greatest gift you can give them is the gift of your presence. When looking for something to give them, keep that in mind. Don’t be a slave to stuff, and don’t make your child one, either. 7 Tips for Cutting the Toy Clutter – In a post at Natural Parents Network, Mandy offers easy and child-respectful ideas for downsizing your kids’ growing mountains of toys. De-Cluttering and Moving to Minimalism – Laura from Authentic Parenting is actively trying to achieve a more balanced life by giving up the things in order to make room for more enjoyment. A Minimalist Clutter Bug – Destany at They Are All of Me writes about the daunting task of clearing away years of clutter brought on by disorganization and a dislike for throwing things away. The Pack Rat Stops Here – Mercedes at Project Procrastinot doesn’t want her twins to inherit the pack rat legacy but is uncertain how to lead by example. Clutter Minimized – Jorje of Momma Jorje shares how minimizing different aspects of her life and household have changed her life. Uncluttering Childhood – Are fewer toys and books harmful for your child? Does simplifying the stuff in your life, merely mean faster clean up? Find out if “less” is truly “more” for parents and kids alike at Heart-Led Parenting. Lagom – Sustainablemum shares her family’s search for balance in decluttering their home and their lives. Letting Go – Of Things and Thoughts – Amy W. at Me, Mothering, and Making it All Work rejoices in her ability to allow others to teach her to let go – of things and of thoughts. From Cluttered to Clutter Free – Mandy at Living Peacefully with Children discusses the changes she went through from growing up in a cluttered household to becoming a decluttering diva. Facing the emotional roadblocks of clearing clutter – We all have reasons we hold on tightly to our stuff. Lauren at Hobo Mama offers advice for breaking through those walls. Spring Cleaning with Freecycle – Amy at Anktangle shares how her spring cleaning ritual has become much more fun (and productive!) since she’s embraced her local Freecycle community and all it stands for. What a great list! As an adult I am only just now coming to grips with most of these tips for myself, like designated spaces and location. I love the suggestion of rotating toys and having open-ended, multipurpose toys! Thanks for these tips, Mandy! For us, limiting the number of toys and making sure many of them are open-ended (blocks, musical instruments, art supplies, etc.) really cuts down on the clutter. I totally agree with you about the designated play space, too—we’ve found that having small areas of toys in several central locations in the house helps them to stay more organized.